This June on WWDC Apple announced its ARKit — a platform for developing augmented reality apps. Also add into the fray a new generation of Apple devices like iPhone8 coming this fall. Finish with the release of iOS11, which will support AR functions on multiple devices out of the box. What do we have as the result? A bright new future ahead of us. A world where AR and VR will become an integral part of our everyday lives. Imagine a school, college or university lesson on STEM science like physics, chemistry, biology or even history and sociology using AR. Actually, this can involve any subject where practical exercises involve experiments with consumables or modelling different situations in society. Using AR apps for creating a set of consumables for a chemical, physical or even biological experiments is much cheaper and safer than buying consumables, holding experiments… and cleaning afterwards. Brewing chemical concoctions with dangerous vapors? Creating electrical circuits? Vivisecting frogs? All of this can be done using apps built with Apple ARKit. Every teacher would be glad to remove the danger while retaining the quality of the experiments. Real life examples of such apps would be the likes of Labster.com or Dance Reality, a freshly-created app that teaches you to dance using your iOS device! Undoubtedly, you had to have some minor refurbishments to your apartment or house at some point. Even moving the closet involves certain measurements and requires having certain tools. Well, not any more. Using ARKit from Apple allowed Smart Picture 3D create their Measurement Cloud — a simple tool for measuring the proportions of any object the camera can see. While definitely useful for planning the furniture positioning, this feature can scale up to placing AR models of future buildings into the existing landscape and modeling their exterior, complete with lighting and reflections on nearby buildings. The ones who didn’t hear of Pokemon Go, please raise your hands. No, we won’t measure the size of our collections, no… though it’s tempting. Yet applying the AR capabilities in entertainment is obviously one of the most lucrative fields and should be considered by any business, big or small. Little helping dwarves scattered around the workplace and helping the new employee with orientation during the onboarding process. Real life Minecraft using AR? Easy! 3D drawing of beautiful pictures, you name it. Virtual tourism will emerge, where AR-enabled apps will read special tags on museum expositions and provide explanations on every piece of art, complete with simulated scenes of its usage or creation. Now anyone will be able to visit museums and carve their own path across the halls, without the need to hurry or walk slower and listen to the explanations in a strict sequence and tense silence, to hear what the guide has to say. 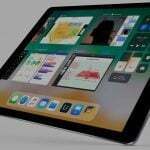 This is a huge profit possibility, given the millions of Apple devices that will receive iOS11 this fall, and their owners who will be eager to experience all the wonders of the world within their mobile device. On the brink of entertainment and usefulness lies a simple and fun app called Pixie that helps you locate items using their BlueTooth trackers and AR. Finding the lost keys or a phone in silent mode will not be a problem ever again. ARKit from Apple brings a wonderful new world of possibilities to goods manufacturers. Including an AR tag with the product allows providing an interactive AR instruction that can be re-accessed any time for the user’s convenience, and will never be lost or torn). Also think of maintenance and repair manuals. Forget bricks of paper or numerous videos. An interactive app is here to make your life much, much simpler! Another field of application for aforementioned tags would be consumer information in groceries and pharmacies. Scanning such tag will bring up information of the product fabrication and end of term date, nutritional values, possible meal recipes and diseases that prohibit consumption of this product. These AR tags will transform the way we do shopping! There will be a myriad of new apps we cannot even imagine as of now, of course. ARKit, in our opinion, can be the tool that will change the business landscape across multiple industries and services. Forever. What do the people say of ARKit? Apple will reap the fruits for their titanic multi-year effort of providing hundreds of millions of devices with powerful processors and cameras. iPhones will become the de-facto standard for experiencing AR in our everyday lives, so creating AR-powered apps will be an extremely important market in the next few years. As Tony Rodriguez, Digimarc CTO said, “The real power of ARKit lies in giving an Apple user capabilities to discover rich experiences in the world around them, filled with a wealth of interactive information”. We are ready and willing to embrace this brave new world. Let’s bring your dreams of augmented reality to reality— together! 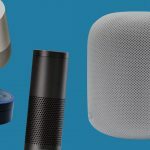 Next What is the Best Voice Assistant: Amazon Alexa, Google Assistant or the upcoming Apple HomePod?